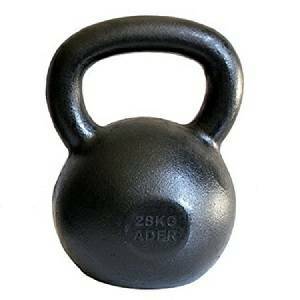 There is no better way to achieve total body conditioning than with this strong performer. The trustworthy design lets you exercise virtually every major muscle group in your body. 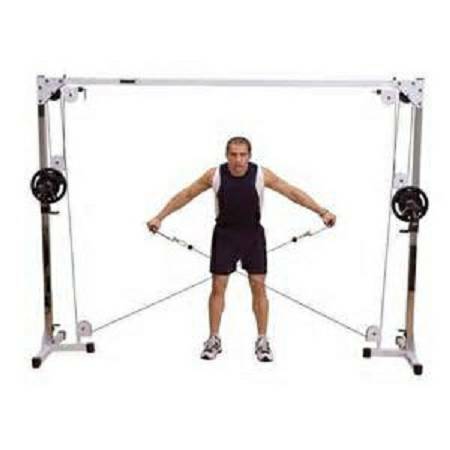 Sturdy construction of the extra wide and tall mainframe provides you with easy access to an endless array of high and low pulley exercises. Your workout options become unlimited when you invest in one of the most versatile and functional machines manufactured today. The professional carriage system utilizes patented nylon bushing technology and eight sealed ball bearing, high resin pulleys. All four top and bottom pulleys swivel smoothly and fully with over 180 degrees of movement for frictionless guidance in all directions. 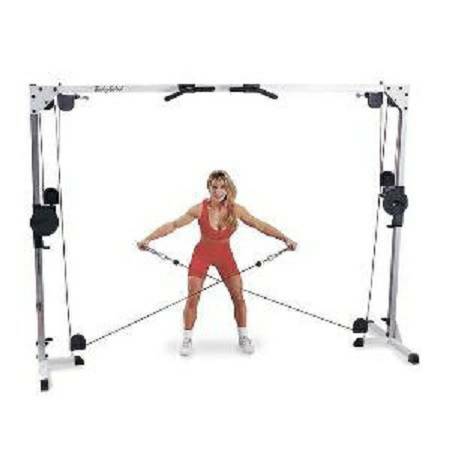 Built and guaranteed with the quality that will last, the Cable Crossover Machine is a dynamic addition to any home gym exercise program. 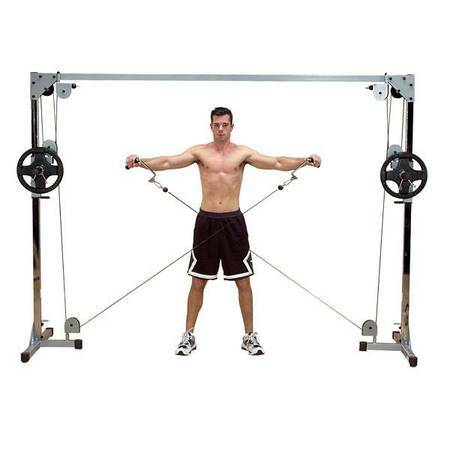 The BodySolid Powerline PCCO90X Cable Crossover Machine is packed with the features you want at a price you can afford. Best of all, you'll achieve your goals and enjoy the results of superior engineering and design as you master hundreds of cable exercises.